TIMMINS, ON – An upcoming alien invasion in Timmins will be marked by special beers from the Northern Ontario city’s two craft breweries. 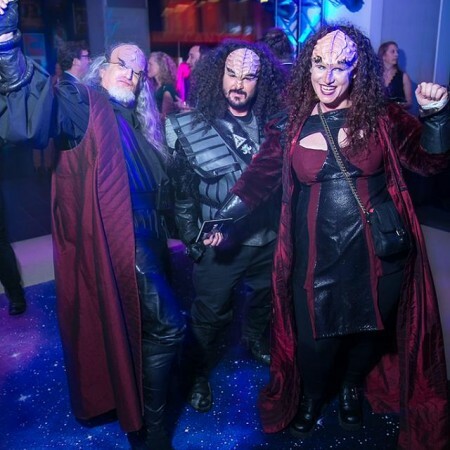 Klingon Rumpus – a gathering of Star Trek fans who cosplay as Klingons and raise money for charity – will be taking place in Timmins on April 21st and 22nd in conjunction with Comicon Timmins, and both Full Beard Brewing & Compass Brewing have teamed up with the local chapter of the Klingon Assault Group to brew beers for the occasion. Compass Brewing has prepared a batch of HIchop: Bite Me American Brown Ale, while Full Beard is offering Warriors Beard lopno”a HIq Chocolate Chili Stout. Both beers will be launching next week at their respective breweries, and will be available at local music bar The Working Class during the April 21st concert by Klingon-language band Klingon Pop Warrior. Both breweries and Klingon Rumpus events will be raising funds for Wounded Warriors Canada, a charity that provides service dogs for Canadian Forces veterans living with PTSD. For more details, see the Timmins Press article about Klingon Rumpus, the beer release announcement on the Compass Brewing website, and the Facebook video about Full Beard’s beer.